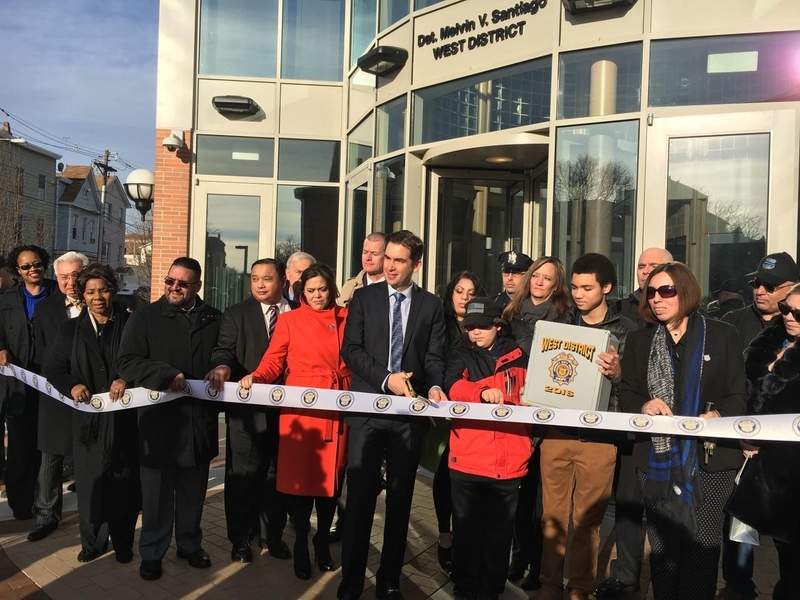 Mayor Fulop, city officials and members of the Santiago family joined together to cut the ribbon on the new West District Police Station, named in honor of fallen Detective Melvin Santiago. 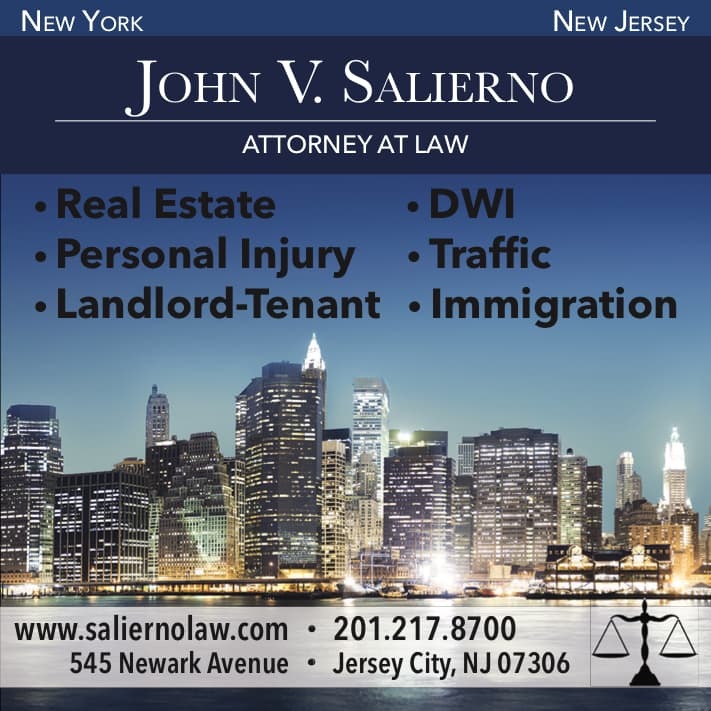 Detective Santiago was killed on July 13, 2014, while responding to a call in the West District where he worked and lived and made the ultimate sacrifice that night protecting the people of Jersey City. 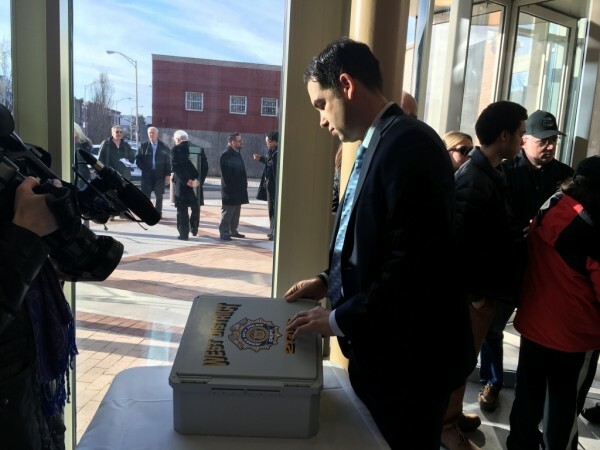 The West District, which is the first new police station in Jersey City in more than 60 years and which is home to nearly 200 officers, supervisors, and detectives, officially opened on Tuesday, Jan. 5th at the 7 am roll call. A time capsule, featuring memorabilia from present-day Jersey City, police department items, personal artifacts from Det. Santiago and notes from Jersey City children were installed in the new police station to be opened in 100 years. The rehabilitation of the Brunswick Estates, located on Montgomery Street near Merseles Street, is made possible through a $2 million grant from the City’s Affordable Housing Trust Fund. Over the last two years, JC Summer Works has connected more than 1,600 young people with paid summer jobs and internships. 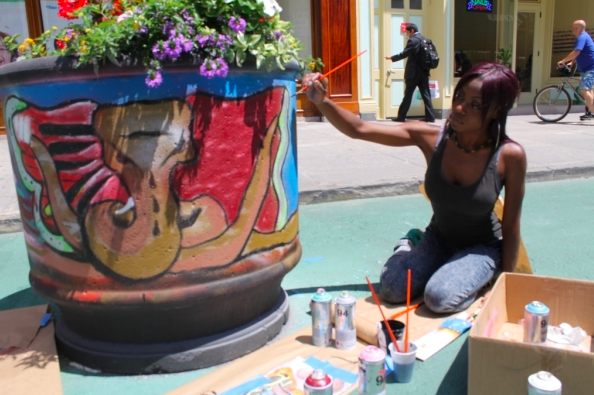 JC Summer Works includes the City Youth Jobs program, a municipal jobs program in departments including Recreation, Law, the Business Administrator’s Office, Communications, and others; and the Summer Works Arts Program, which provides arts enrichment and financial compensation for youth who will work in public arts. 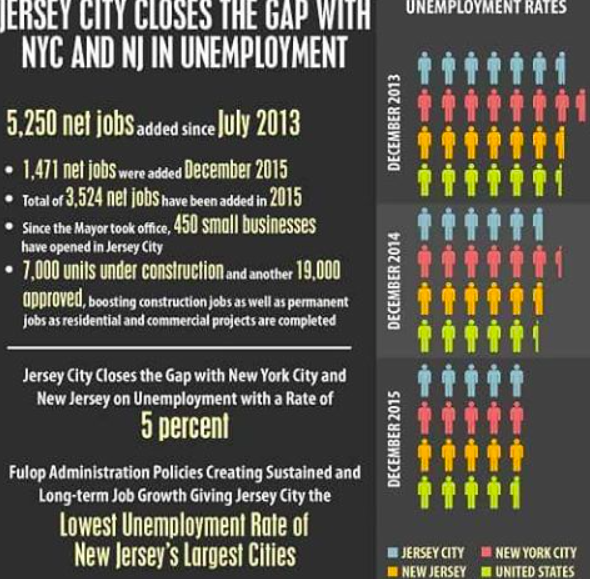 According to November statistics released by the U.S. Bureau of Labor on Wednesday, Jersey City has closed the gap with New York City and the State of New Jersey in regard to unemployment statistics for the first time in years with a five percent unemployment rate, the lowest of New Jersey’s largest cities. 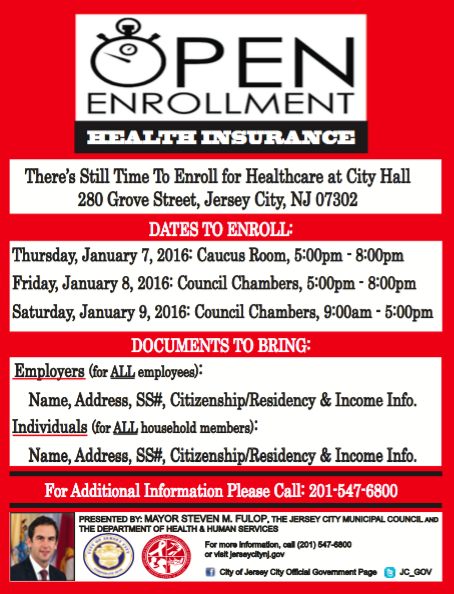 There is still time in the New Year for #JerseyCity residents who need health insurance to sign up for the Affordable Care Act. Open Enrollment sessions will be held at City Hall on Thursday, January 7th in the Caucus Room from 5 pm – 8 pm, Friday, January 8th in Council Chambers from 5 pm-8 pm, and Saturday, January 9th from 9 am – 5 pm. 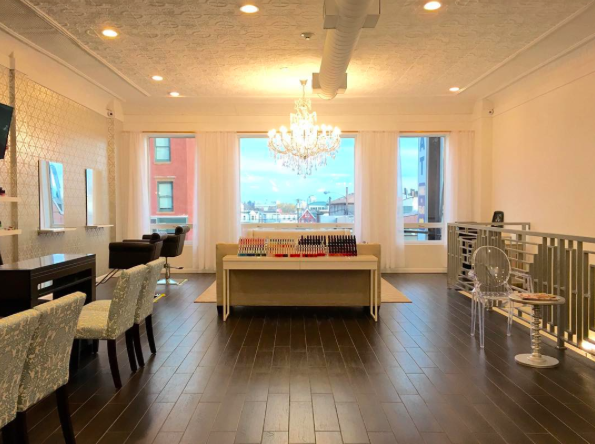 The Nail Loft Opens on Central Ave. The Nail Loft has formally scheduled a ribbon cutting event to celebrate their grand opening for 5:30 pm on Tuesday, January 12, 2016, at their new location – 389 Central Avenue, 2nd Floor. Nail art enthusiasts, residents, shoppers, and local businesses are invited to join the Central Avenue SID Management Corp. at the event to help welcome the latest addition to the shopping district. The Nail Loft will be officially open on Monday, January 11th to welcome appointments and walk-ins alike. 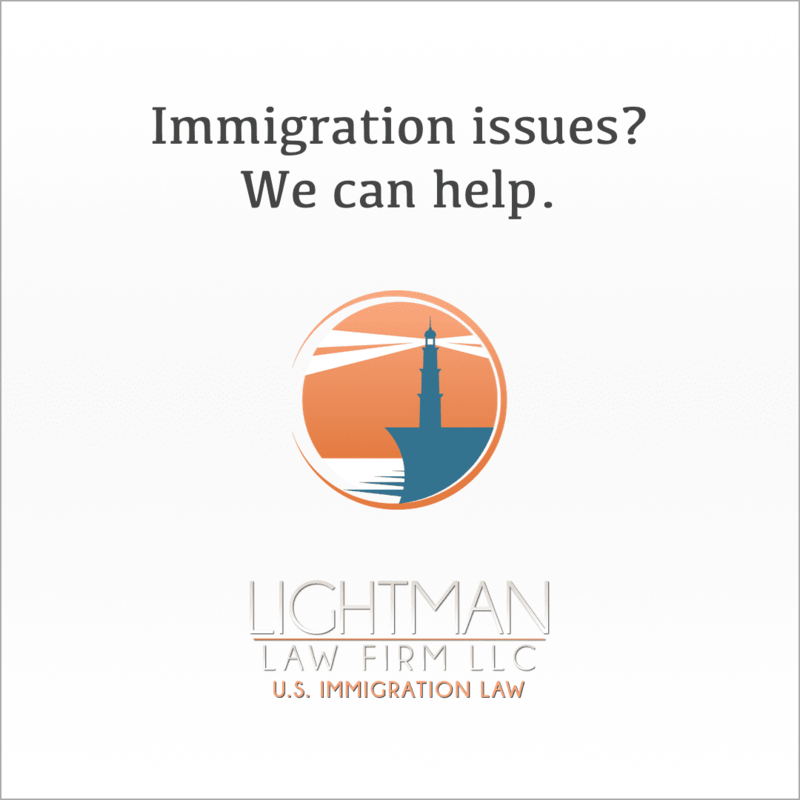 For a limited time, new customers will receive a 10% discount on their first visit. Parking is available at the rear of the building just off of Charles Street. New Bridge Laundry has moved their headquarters from Bergenfield, New Jersey to Jersey City and will celebrate with a ribbon cutting with Mayor Fulop on Friday, January 8th, 2016, at 3:30 pm. 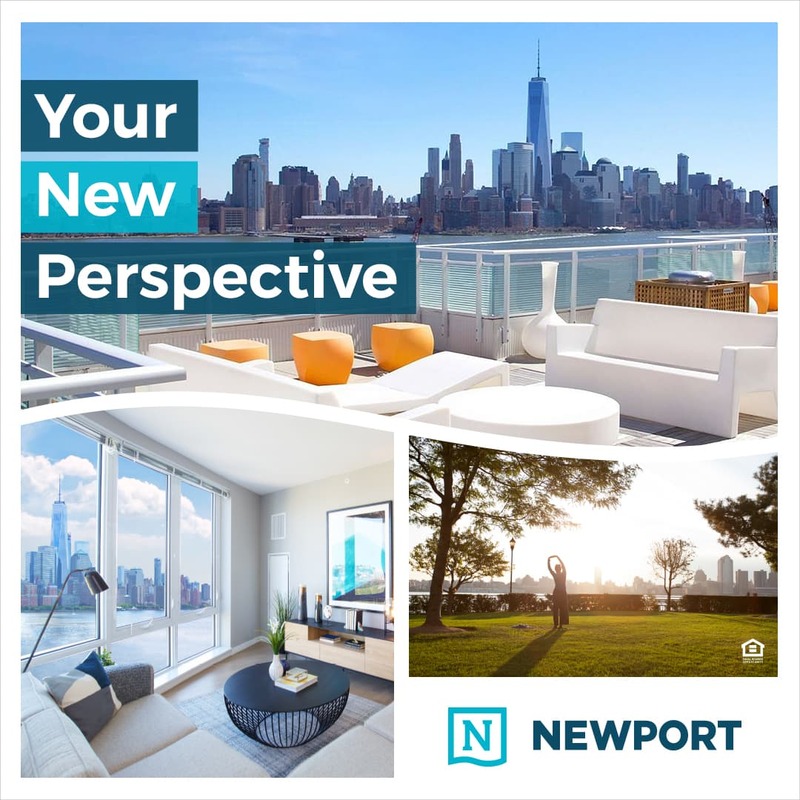 New Bridge Laundry is a pick-up and drops-off delivery laundry service tailored to the needs of Jersey City and Hoboken’s uprising of busy urban professionals. 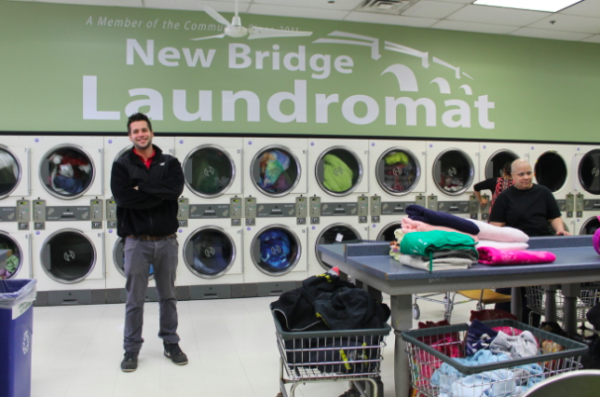 New Bridge Laundry has been open for five years and is now located at 437 Monmouth Street in Jersey City. 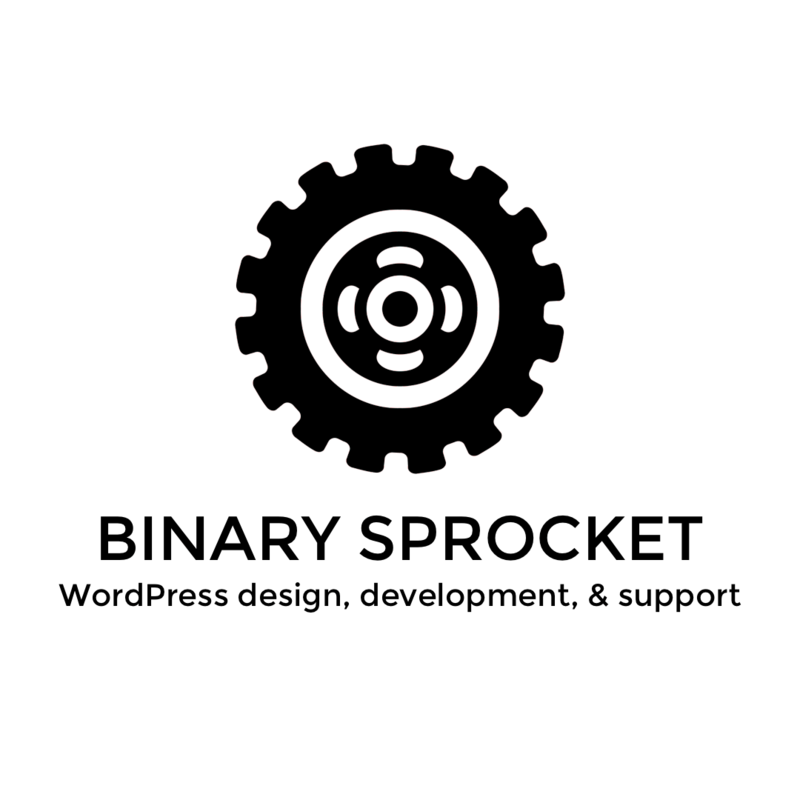 I recently went to check this place out. I am in love. 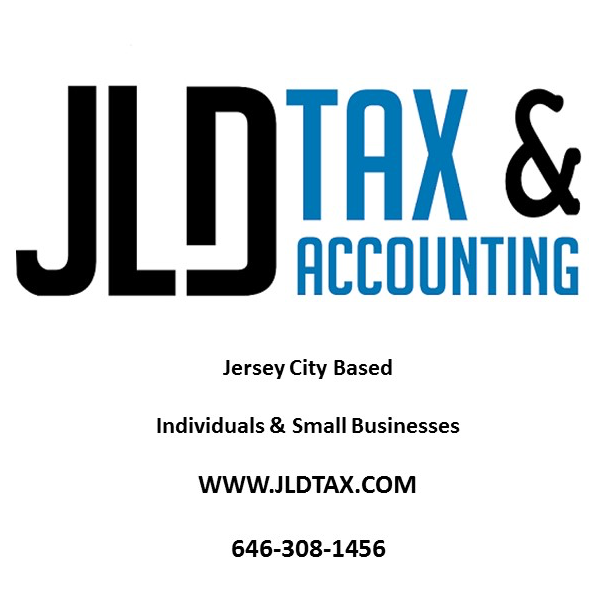 Join your neighbors in celebrating the official Ribbon Cutting of Jersey City’s newest coffee shop on Friday, January 8th at 3 pm in Bergen-Lafayette! 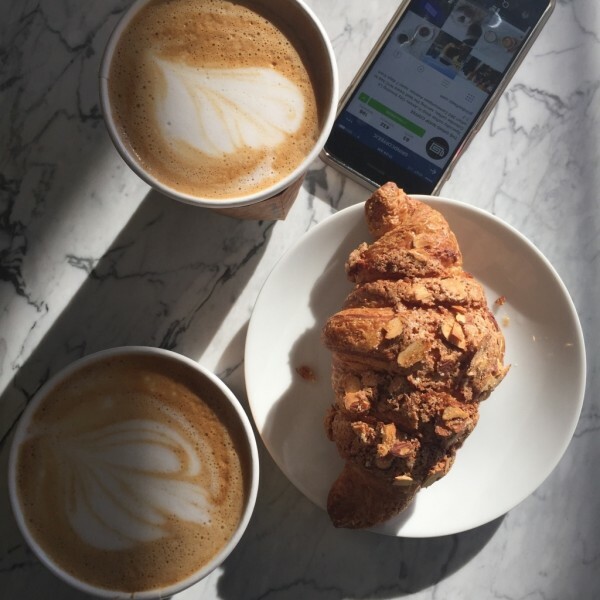 THE GRIND SHOP features La Colombe Coffee, pastries by Balthazar, artisanal donuts by the Doughnut Plant, and more seasonal selections. 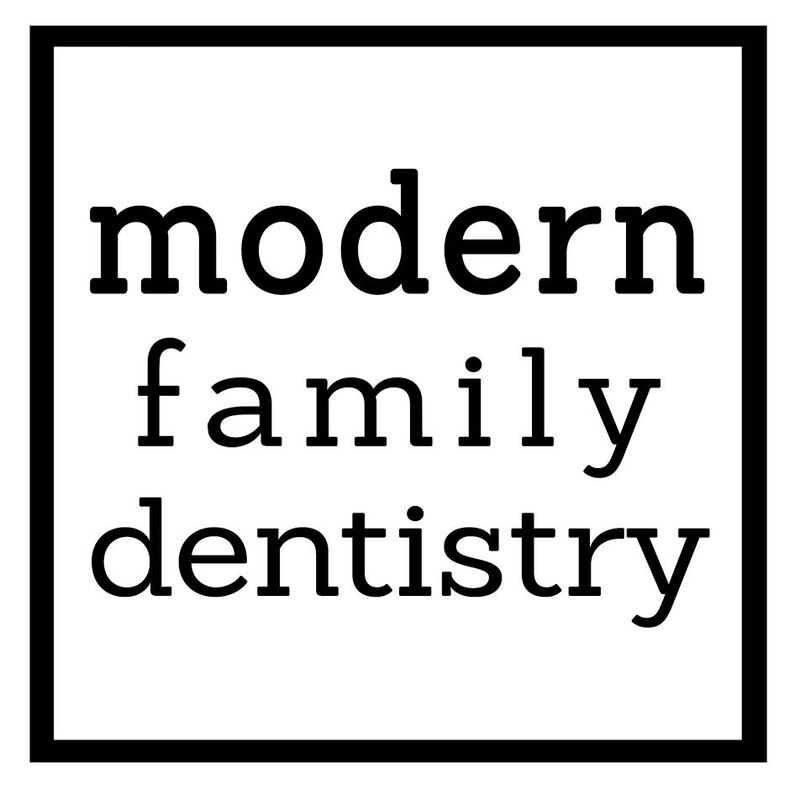 Enjoy $1 drip coffee between 3 pm and 5 pm in celebration of the Ribbon Cutting this Friday, January 8th. 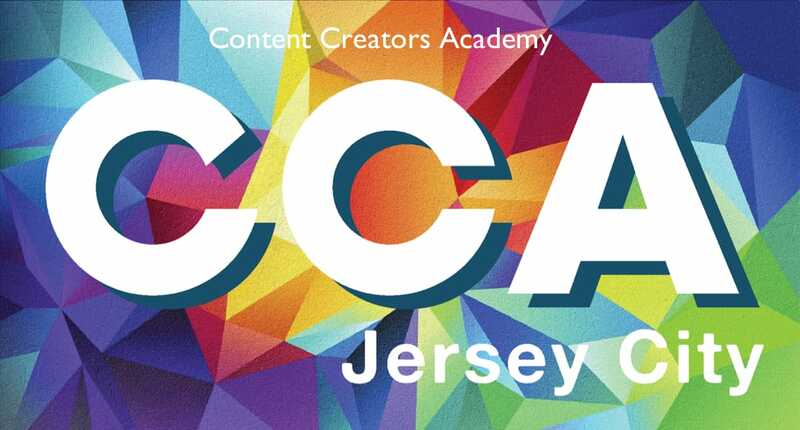 #SupportLocalJC by gathering together to make purchases at area businesses! 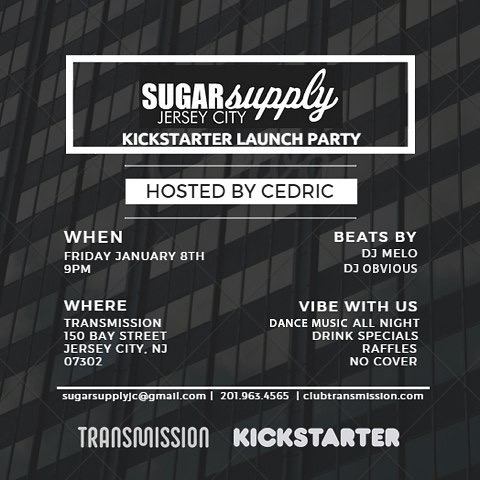 The event will be held at 9 pm on January 8th at Transmission and is open to the public. DJ Melo is providing the music along with guest DJ Obvious. There will be raffles of merchandise by local vendors Caviar Noir, Modest Mind, Oh My Vintage, Republic of Pigtails, Taproot Organics, The Big Straw, Vivi Girl and more. Guests can enjoy drink specials and treats from the dessert bar open all night. 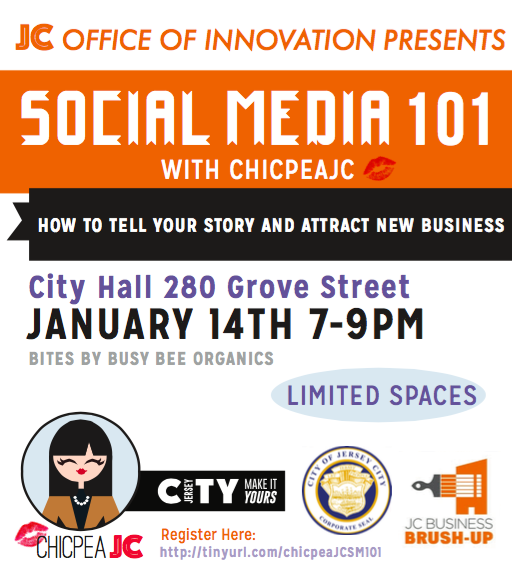 On January 14th and 15th, Lynn Hazan of ChicpeaJC will be hosting two back to back workshops on Social Media to a sold-out audience at City Hall.